The teams and players to watch as 2017 approaches. A little over a month ago—October 10, to be specific—I sat down to watch my first game of South Korean Overwatch. It was a game between REUNITED, who at the time were considered one of the best teams in the west, and Korean team RunAway. REUNITED had recently made a roster switch in which Finley ‘Kyb’ Adisi was replaced by Stefan ‘ONIGOD’ Fiskerstrand. Even so, I really thought it would be a walk in the park for the European team. Based on the way they had torn the European scene apart over the summer, it never crossed my mind that a relatively unknown Korean team could even put up a fight against them. Then I was introduced to Hyo Jong ‘Haksal’ Kim: a high schooler whose nickname fittingly enough translates to ‘massacre’. He delivered: it was, indeed, a total massacre. I’ve seen other Genji players wreak havoc with the Dragon Blade but what really stands out to me is Haksal’s ability to consistently land his shurikens due to smart positioning. It seems like he always has his ultimate ready should it prove necessary. I’m not saying that he’s better than George ‘ShaDowBurn’ Gushcha because I haven’t had the chance to watch him enough. It’s also entirely possible that game was an outlier and that he won’t be able to do it again. I would, however, argue that Haksal’s game against REUNITED is the best Genji performance in Overwatch history so far. It doesn’t stop there. South Korea has a great number of individually skilled players. Name a western player and there is a Korean to match his skill level. Ryu ‘ryujehong’ Je Hong is arguably the best Ana player in the world. If you want to improve your Ana or just enjoy watching high level of play I’d recommend that you watch his stream. Then we have Gong ‘Miro’ Jin Hyuk who is hands down the best Winston player in the world. His ability to stay alive and harass the enemy back line at the same time is incredible. Winston might not be the most demanding hero in the game when it comes to raw skill, but if you’re smart enough you can get a lot done. He was the MVP of the Overwatch World Cup when South Korea won the entire tournament without losing a single map. My guess is that we’ll see more teams run Winston after Miro’s performance, and I’m sure players will be able to utilize Winston the same way Miro did. But he’s a pioneer for sure. Click here for the best plays from the Overwatch World Cup. Lunatic-Hai is Korea’s most successful team so far. They beat Rogue twice in the Overwatch APAC tournament in China before falling short in the grand final against the same team. That in itself is impressive considering that Rogue is the best team in the world at the moment (at least if you look at their placings in LAN tournaments.) They won APAC and finished top four at the Overwatch Open after losing to eventual tournament winners Misfits. Lunatic-Hai are also off to a good start in the Overwatch Apex where they’ve secured the number one seed in their group after winning their two first matches. Including one against EnVyUs that leading up to the Overwatch Open was considered the best team in the world by many. It’s too early to call, but if they manage to come out on top and win the Overwatch Apex they might challenge Rogue for the number one spot. It will be interesting to see how RunAway with Haksal does at the Overwatch Apex. 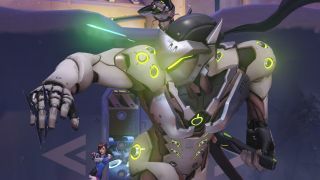 If they are as good as they looked against REUNITED one could argue that South Korean Overwatch is already ahead of the west. Even if that’s not the case they’re still not far behind. What you need to consider is that South Korea has a population of just over 50 million people and Lunatic-Hai has already beaten two of the best western teams with players from all across Europe (and EnVyUs’ Ronnie ‘talespin’ DuPree from the USA). That’s pretty impressive when you consider that Europe is miles ahead of North America—even if EnVyUs resides in NA, I still consider them European. With that in mind it’s safe to assume South Korea is also a stronger region than North America. South Korea is by no means a small country but if you compare them to the rest of the world it’s quite impressive that they’ve managed to get to the level they’re at right now. Obviously they’re doing something that the rest of the world doesn’t do. The fact that the west have so many teams in Korea over a long period of time during the Apex means that both regions get a chance to learn from each other. I for one hope that’s gonna be a common occurrence even after the Overwatch League starts early next year. If so, I think Overwatch stands a chance of being one of the healthiest esports scenes when it comes to the level of competition.